I had decided in July that I really had no ambitions of becoming an “influencer” — and by this I mean someone who earns an income from their influence over their followers (I’m aware there are many people who consider themselves influencers who are not commercially-oriented and that’s not what I’m talking about). I’m not really comfortable “branding” myself, and I don’t want to be thinking about selling something when I write a post. Even though there are definitely influencers I respect out there who are making a living off their social media and who do so with honesty and integrity (and a whole lot of talent! ), the role just didn’t sit right with me. This isn’t to throw any shade on those who do consider themselves influencers at all, but this line of thinking just helped me to clarify my goal of keeping my feeds educational and informative rather than commercial. Deciding that I wasn’t going to take my content towards the influencer route took a lot of pressure off growing my audience. I decided to focus more on quality content and on improving my photography rather than spending a lot of time gaining followers. There’s a difference between being an influencer, and being a content creator, and it’s the latter that I’m more interested in. I decided that I wanted this blog and my Instagram account to stay informative (rather than commercial), but to hopefully create more opportunities to do freelance content creation, such as blogging, copywriting, and photography. Thanks to some great networking opportunities through Instagram and through other blog friends, I was able to land a few writing gigs right away with some skincare and Kbeauty companies around the world. I’ve always dreamed of being able to make a living through my writing, and this provided the perfect, flexible outlet that allowed me to be there for my kids while setting my own hours. I still have a lot to learn about managing my time with freelancing — sometimes I am swamped with projects, and sometimes I have dry spells. I think that’s just kind of the nature of this kind of work but I hope to get the hang of it soon! I think you can see a definite improvement from the beginning of the year to now when it comes to my Instagram feed and the photography on Gracefulface.com. I know I still have a LOT to learn but I’m happy with the progress I’ve made. I’ve even had the opportunity to work with a few different brands shooting product photography for their social media feeds as well as other art content. You can see some of this work on a small portfolio that I recently added to this site. I’d like to improve the technical aspects of my photography, so that’s a major blog goal I’ll be working on in 2018. I’ve been mulling over these blog resolutions since November and I think I have a pretty clear vision of where I want to be by the end of 2018. I am so grateful for all the wonderful skincare companies I’ve worked with in 2017. The free press samples I received provided me with more content for this site that I wouldn’t otherwise have been able to create. However, as the time I spent pursuing paid freelance opportunities increased, the time I had left for writing reviews for free products decreased. By the end of 2017 I was feeling a little overwhelmed by the number of reviews that I had in the backlog. Although only a few companies pressured me to write them quickly, I felt an internal pressure to review them in a timely fashion. In 2018, I hope to limit the number of press samples I accept to a more manageable number. I have a real hard time saying “no” but I really need to practice the skill this year. I also need to resist the FOMO (fear of missing out) when I see other bloggers getting tons of press samples and feeling like I need to get in on the action too. I honestly don’t know how other bloggers are able to test so many products so quickly — possibly their skin is more absorbent than mine and they go through products faster? But I need to do what works for me and this blog, not what works for others. There are a number of technical aspects of blogging and photography that I hope to improve in 2018, making it one of my top blog goals. As I mentioned, I’d like to learn more about how to use the manual functions on my Canon 60D properly. I know enough to use the aperture priority setting pretty effectively, but there’s still a lot I need to learn. I’d also like to learn more about editing my photos and getting different effects from Photoshop and Lightroom. For this site, I know that there are a ton of things I need to do to streamline this blog and to make it more functional. I either need to learn how to do this myself or get help to get it done! My third resolution has to do with skincare itself and not specifically with the blog. 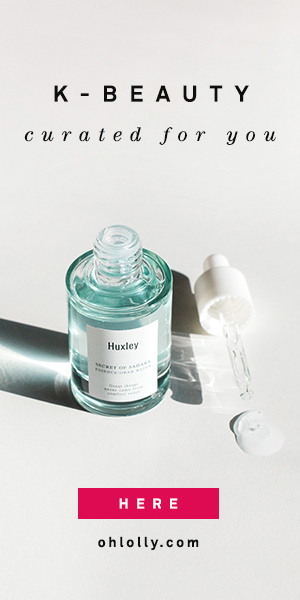 Over the past year I’ve been increasingly impressed with the green beauty offerings available on the market both from Western and Asian companies. Specifically, KBeauty brands like ONEOSEVEN, Earth’s Recipe, and Swanicoco, and Western brands like Indie Lee, Dr. Roebucks, and Herbivore have impressed me the most this year, by combining scientifically-backed ingredients with elegant, natural, plant-based formulations. I don’t necessarily need my products to be 100% organic but I’d like to move in a direction that is better for the environment as well as for my skin. I’ve had really great results using natural oils and emollients, and I love skincare companies that combine green ingredients with the latest skincare research. What do you guys think? What would you like to see more of on this blog? Do you like seeing traditional single-product reviews, or would you be more interested in articles about beauty trends, how-to’s, and other topics? Leave me a comment and let me know! Reading this post about your resolution and the direction that you’re planning to take your blog makes me very eager to see your contents for 2018. I will start following you on all social media platforms so I don’t miss a post from you in the future. I was similar in 2016 and due to FOMO, I accepted every single collabs that came my way and in the end I was so miserable and stressed out. I changed that in 2017 and I plan to be extra picky in 2018. I want to share what I want and not because I have to if that makes any sense? And like you, I am never comfortable with the term influencer….just doesn’t sit right with me. Hi Shireen! I love how you inject so much honesty and humour into your posts, they definitely feel so authentic! I agree, I also want to be able to post about what I want, when I want, instead of feeling like I HAVE to post about something. I’m planning to be a lot pickier too in the coming year! Thanks so much for your support, Shireen! I’m definitely keeping an eye out for all of your posts too! Sounds awesome. I love all of the products. I totally relate to how you feel about managing press samples. It’s so hard to say no because I don’t want to miss out, but at then my skin suffers as a result of me trying so many things on it in a short period of time. Ironically I think my skin has gotten worse in some ways since focusing my content on skincare, and I’m 99% sure it’s because I’ve overwhelmed it with all these products. I don’t get how other people do it either but I know for this coming year I’m definitely going to be much more selective about brands I work with. These are all great goals that you have and I’m excited to see what content you have in store for us this year! Personally I love a mix of in-depth reviews and how-to’s, but I feel the most important thing is writing topics that you love! It’s always so great to hear things from your perspective, Jenny =). I’ve been suffering from some overexfoliation lately, and I do think it’s because I’ve been testing so many exfoliators! I want to be able to spend MORE time on the brands I’m really interested in too. It’s so encouraging to hear from other bloggers who are on the same page. I’m super excited to see how your blog grows this year too! I realize this is an older post, but it is really refreshing to find a blog that is educational and informative without the commercial angle. Thank you for being so sincere and for working hard to improve your site. I love skincare products so much and I wish there were more blogs like yours!